This week is College Application week at the ALC. Our counselor, Annette Pukahi, has worked very hard to get a week of information and material out to all the students here at the ALC. She has swag, videos on the importance of college, and college bingo games for the students to do throughout the week. She is also helping the Seniors fill out College applications. This week will be used in helping the students get the resources and knowledge of how to apply for colleges, and the importance of stepping up to their own education and plan to go to college. 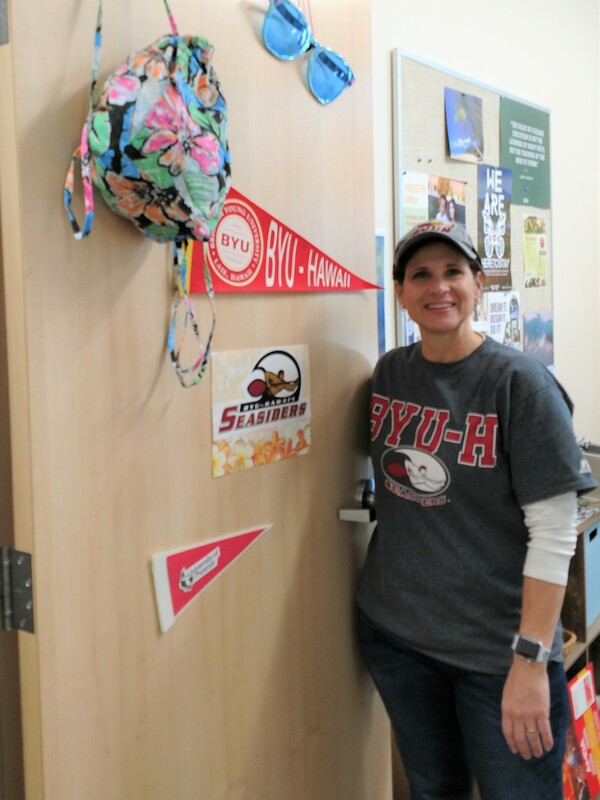 The teachers and staff have all decorated their doors with their college pennants and swag. The kids are having fun walking around seeing what colleges the teachers may have attended, and it has opened up discussion about colleges. Thank you, Annette, for going to so much work to make sure our students are not only informed about these things but caring enough to take the time to make sure they get every opportunity that is out there for our students!